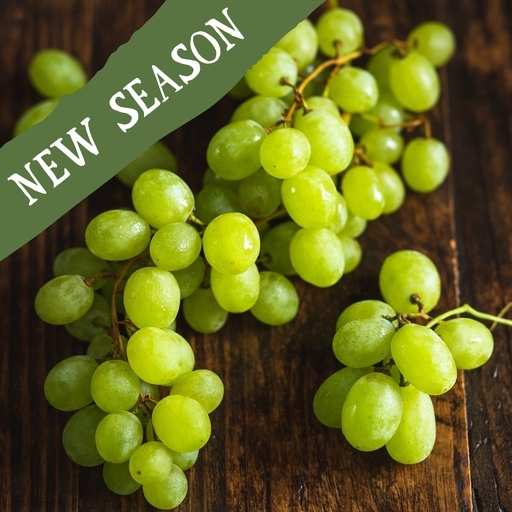 White seedless grapes chosen for crisp, sweet flavour. Varieties include Sugraone, Regal, Thompson and Sundance. Eat straight from the bunch – no pip spitting required! Try them mixed into a fruit salad, on top of your morning muesli, or as a pop of colour and sweetness alongside our organic cheese. We mainly import grapes by boat from France and Italy during our summer, and Egypt and South Africa during the winter/spring months.